A generic table for Angular 2. Generic table uses standard markup for tables ie. table, tr and td elements etc. 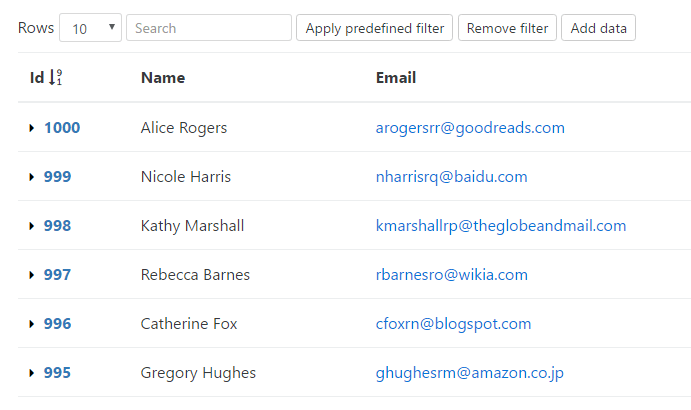 and has support for expanding rows, global search, filters, sorting, pagination, export to CSV (coming soon), column clicks, custom column rendering, custom export values.